A dark shadow looms over the once-forgotten world of Ossus. Fight for the Galactic Republic or the Sith Empire as their forces battle for supremacy in the upcoming Game Update 5.10: Jedi Under Siege in Star Wars™: The Old Republic™! Amid the desolate crags of Ossus lay the ruins of an ancient Jedi bastion. Following the devastating war against Zakuul, Jedi Master Gnost-Dural has retreated to this forgotten world and established a hidden colony, seeking to safeguard the Jedi and their teachings for the future. But the colony’s location has been discovered by the Sith, who have deployed Dark Council member Darth Malora to destroy the Jedi colony in a deadly first-strike, renewing the war between the Republic and the Empire. As the Commander of the Alliance, you will play a key role in deciding the fate of Ossus and the Jedi hiding there. Players who have reached level 70 and want to jump into this storyline can start it by accepting the “Inflection Point” mission from the console aboard their personal ship. There will be a separate storyline for both the Republic and Empire forces. Once players finish the main storyline on Ossus, the planet becomes a new daily mission hub. Players will recover lost artifacts, rescue allied patrols, raid supply camps, defeat elite enemies, and more! All while completing these daily/weekly missions you can increase your reputation with the local forces. Imperial forces will gain favor with the Ossus Assault Battalion, meanwhile the Republic forces will gain support from the Ossus Colonization Initiative. Doing so unlocks new rewards, such as decorations and Masterwork Armor. There are two vendors in each faction’s base that can sell you this formidable gear. 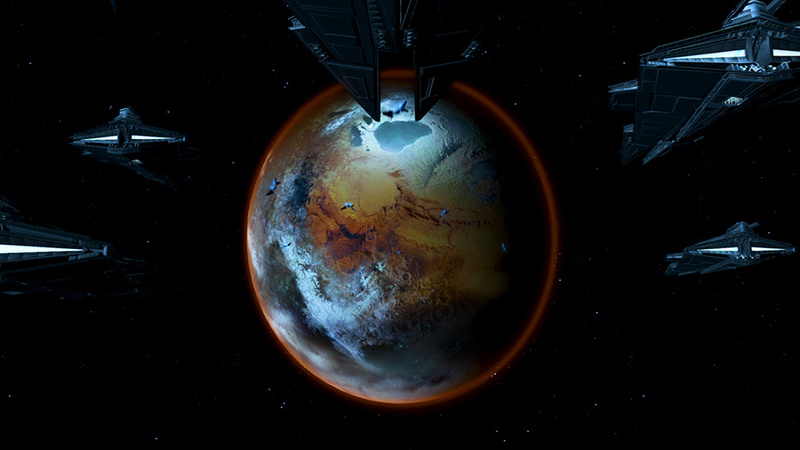 While this stronger equipment will be helpful on Ossus, the true test may be found across the galaxy on Iokath. The Machine Gods stir with renewed vigor as the Master Mode of the “Gods from the Machine” Operation is available as well. Will you side with the Republic forces to protect this vital colony or will you side with the Sith and lay siege to the planet of Ossus? The choice is yours.